These muffins are really nice straight out of the oven ! The pumpkin is healthy for you, and the chocolate just oozes out for those chocolate lovers out there! Grease a muffin tin or line with paper cups. In a large bowl, mix flour, brown sugar, chocolate chips, pecans, baking powder, cinnamon, nutmeg, cloves and salt. In a separate bowl, add pumpkin, milk, melted butter and eggs and mix. Add this mixture to you dry ingredients and mix just until all ingredients are moistened and incorporated. Spoon into muffin cups about 2/3 full. Bake for 15-17 minutes ot until a toothpick comes out clean. Transfer muffins to a wire rack to cool for about 10 minutes. 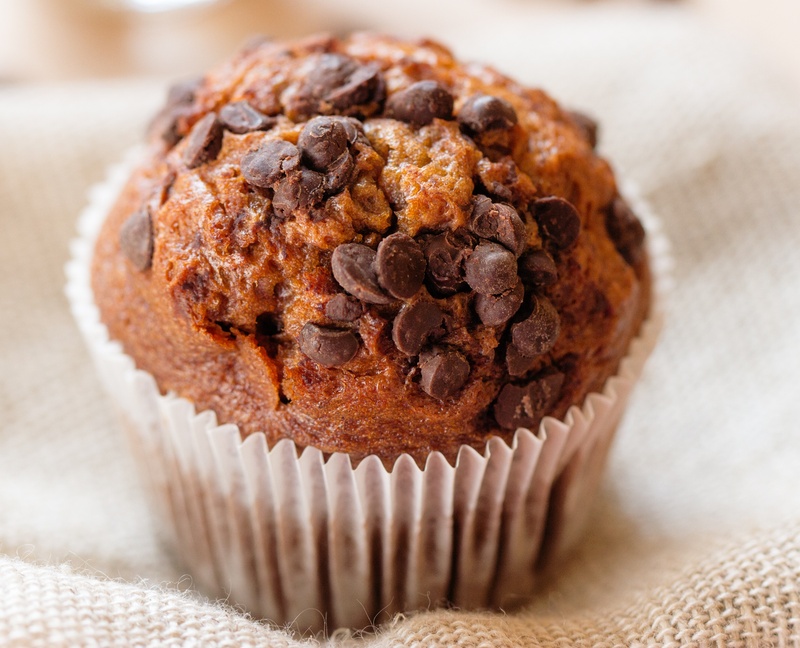 These muffins are delicious eaten warm..